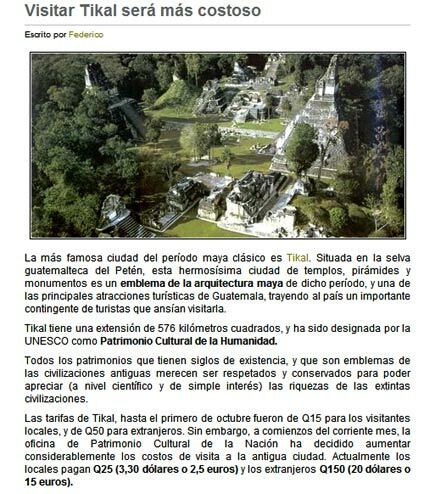 Admission to Tikal for foreigners will rise to about US $20. I don’t think this will trouble many people unduly. >> POSTING WILL BE LIGHT for a while on this site while I am traveling. Is development out of control on the Mexican Riviera?